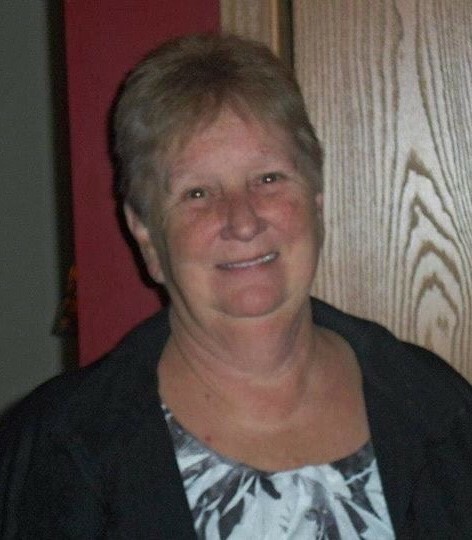 Wanda J. Smith, age 72 of Cardington died Saturday, January 19, 2019 at Morrow County Hospital. She was born on September 4, 1946 in Barberton, OH. to the late Lindsey and Tressie (Shuff) Thompson. Wanda was a 1964 graduate of Fort Gay High School. She enjoyed bonfires, reading, sewing and completing crossword puzzles. Wanda loved gardening, cooking, baking cookies with her grandkids and canning. Her greatest passion was spending time with her family and surrounding herself with friends and loved ones. On May 30, 1964, Wanda married Johnny Smith in Wayne, W.V., Johnny survives in Cardington. In addition to her husband, Wanda is survived by three daughters; Tammy (Mitch) Dean of Butler; Kim (William) Hamilton of Cardington; and Teresa (Fred) Phillips of Cardington; two sisters; Judy Henderson of Cleveland and Rita Thompson of Ashville, NC. ; five grandchildren: Eric Hamilton, Josh Phillips, John (Katie) Phillips, Lindsay (Cobey) Martin and Renee (Michael) Blaney and two great-grandchildren: Hanah Blaney and McKinley Martin. In addition to her parents, Wanda was preceded in death by three brothers; Jack Thompson, Ray Thompson and Gary Thompson. Friends may call on Wednesday, January 23, 2019 from 6:00 to 8:00 pm at Gompf Funeral Home, 440 Center Street in Cardington. The funeral service will be held Thursday, January 24, 2019 at the funeral home at 1:00pm with Pastor John Notter officiating. Following the service, the burial will take place in the Marengo Cemetery. Those wishing to share a memory of Wanda or to express a condolence to the Smith family may do so by visiting www.gompffh.com.